Women Of The Kingdom strongly believes that women are the”key” to society. It was founded by Natalie Daniels in 2004. 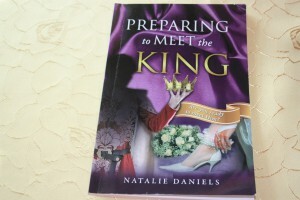 Natalie has been called by God to minister to women about preparing themselves for the Lord. Based on the Word of God, with special emphasis on the Book of Esther, Natalie delivers teachings and beauty therapies (with herbs and oils used by Queen Esther) designed to help women feel spiritually prepared to dine with the King of Kings. The ministry consists of two facets; a spiritual and a practical side. 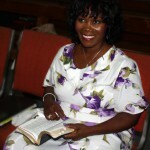 The spiritual trainings are a guide to help Christian women see how important it is to be well groomed and well spoken . How to behave in every situation in life for example at home, when soliciting for a job, at work or in the church. Quality and experience are very important but when they are combined with the Word of God then the Christian woman stands out far above the secular woman. She radiates confidence , friendliness and words of wisdom flow from her lips. During each topic presented by workshops, the theme” image” helps each woman to discover if the image she radiates truly represents the Kingdom of God and gives her courage when the answer is “no”so that she can improve the area and become a better ambassadors for His Kingdom. Each seminar and workshop bring about spiritual awakening causing women to be aware of who God created them to be in the Kingdom, and how they can gain respect for themselves, husbands and to have a positive influence on society by applying the Word of God to their circumstances. They learn to embrace the Lord instead of turning to alcohol or abandoning their marriages. The practical side is made up of workshops. Here the women learn everything about beauty, home and financial management, wellness etc. Motivating women to work and study is the very foundation of this ministry. © 2018 Women of the Kingdom. All rights reserved.